You could teach the history of America in the 20th Century using only Coca-Cola advertising. That’s because, in general, advertising is like holding up a mirror to society. Commercials and other creative from a certain year or era typically reflect what’s going on in culture at any given point in time. But what if society is in turmoil? Coca-Cola has a history of advertising in tough times, as well. During World War II, the company pledged that every soldier in the field would be able to buy a Coke for a nickel, regardless of what it cost the company. We built 64 bottling plants around the world and strove with all our might to make Coke available both to soldiers serving our country and the people back home working in the war-time economy. Our advertising reflected that effort as the company asked people to work together to help promote the war effort. One of our early Christmas ads featuring the famous Coca-Cola Santa Claus even had a war bond poking out of Santa’s bag. Santa and the company were supporting the war effort. Fast forward a few decades, and the company premiered the “Real Thing” campaign with photographs depicting Coca-Cola in real life. As part of this series, we produced the “Boys on the Bench” print ad in 1969, featuring a fully integrated scene of African-American and white kids sitting on a park bench in New York drinking Coca-Cola and laughing. It was a seminal ad, and if you look at what was going on in society back then, it was timely and topical. In 1968, Dr. King was assassinated. The Civil Rights Movement was still in full force as schools were being integrated throughout the country, yet Coca-Cola felt strong enough in its convictions to be able to depict a scene as a natural one. Two years later, Coca-Cola premiered the famous “Hilltop” commercial featuring the “I’d Like to Buy the World a Coke” jingle. 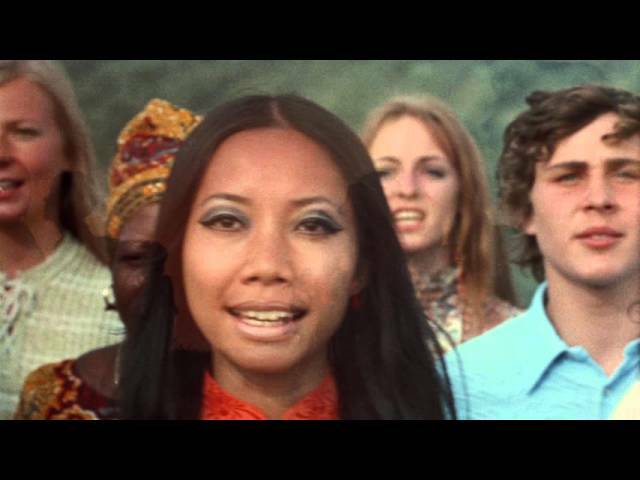 In 1971, the company gathered a group of young people on a mountaintop in Italy as they sang a simple refrain about teaching the world to sing and coming together in peace and harmony. Whenever I discuss this ad, I point out that only a brand like Coca-Cola could pull off a spot like “Hilltop”. Coca-Cola represented optimism, refreshment and that little moment of time that brings people together. Bill Backer, the McCann Erickson creative director behind "Hilltop", once described Coke as “the catalyst that brings people together.” That scene of those kids on the hill, holding the bottles and singing a simple melody was counterbalanced by what was going on in the world. The Vietnam War was in full force, there was intergenerational strife, riots on campuses, and around the world, there was a general discontent. Yet the company called for people to come together in a moment of optimism and try to celebrate a little bit of peace. 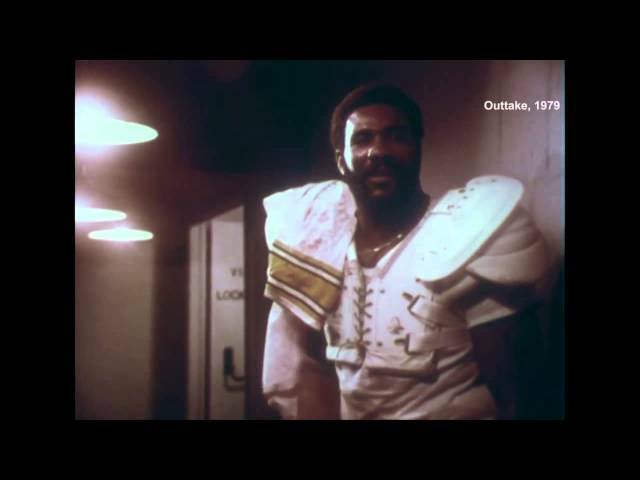 By the end of the decade, Coca-Cola produced the famous Mean Joe Greene commercial, which premiered in 1979. “Mean” Joe Greene was one of the most ferocious football players at the time. He was tall and intimidating, and he happened to be an African-American male. In the crux of the ad, a small boy follows Greene down the tunnel off the field and offers him his Coke. Greene gruffly brushes it aside at first, but eventually accepts the Coke, drains it, cracks a huge smile, and as the kid walks dejectedly up the tunnel back to the playing field, tosses him this jersey with the famous slogan, “Hey kid, catch.” It captured the imagination of the football-watching public and has been voted one of the top 10 Big Game ads of all time. When you get to the core of the ad, though, it’s about the resolution of conflict. It’s about the notion of an African-American man and a small, white boy interacting and it turns out for the positive. The crux of the narrative, once again, is that we can all just get along. If you move forward a few decades, in 1990 the company introduced an ad called "General Assembly", in which the people of the world gather and sing in unity and harmony about trying to come together in advance of the summit between the Russian and U.S. over eliminating nuclear weapons. It was one small way that the company could call out something that was going on in the world. And once again, they did it as they had done with "Hilltop", via a song that still is popular with fans today. A more humorous example that demonstrates the power of messaging is a 2007 ad called "Video Game". In this ad, an animated character, just as would be seen in the game Grand Theft Auto, walks down the street causing mayhem. Only this time, it’s mayhem for good instead of for ill. Instead of robbing people and causing harm, he walks down the street giving a woman back her purse that had just been stolen and handing flowers to a new mom. In a small way, it goes to show that if you have that optimism, if you look forward, that your message will resonate. "Video Game" has been one of the more popular ads we’ve done in the last decade. Originally released in 2008, Coca-Cola's "Ceremony" commercial champions the company's longstanding support of the Olympic Games, the Paralympic Games and Special Olympics. Several iterations of the spot have aired during Olympic Games telecasts, highlighting medal moments throughout history and honoring some of the world's best athletes. In 2013, Coca-Cola brand invited the people of India and Pakistan to share a simple moment of connection and joy with the help of technology. High-tech vending machines installed in two popular shopping malls in Lahore and New Delhi – two cities separated by only 325 miles, but seemingly worlds apart due to decades of political tension – invited people to put their differences aside and share a simple moment over a Coke. The “Small World Machines” provided a live communications portal linking strangers in two nations divided by more than just borders, with the hope of provoking a small moment of happiness and promoting cultural understanding around the world. Coke used first-of-its-kind 3D touchscreen technology to project a streaming video feed onto the vending machine screen while simultaneously filming through the unit to capture a live emotional exchange. People from both countries and various walks of life were encouraged to complete a friendly task together – wave, touch hands, draw a peace sign or dance – before sharing a Coca-Cola. In 2014, Coca-Cola celebrated America’s diversity and ideals of optimism, unity and inclusion with a buzzworthy spot that debuted during the Big Game. “America is Beautiful” featured snapshots of American families representing diverse ethnicities, religions, races and families, set to “America the Beautiful” sung by bilingual Americans in seven languages: English, Spanish, Keres, Tagalog, Hindi, Senegalese French and Hebrew. Coca-Cola joined a coalition of brands partnering with The Ad Council and R/GA to launch a series of PSAs explaining that to love America is to love all Americans. WWE Superstar John Cena is featured in “We Are America”, released on July 4, 2016. The online video and TV spot were part of the Love Has No Labels campaign, which promotes acceptance of all communities regardless of race, religion, gender, sexual orientation, age or ability. And just earlier this year, a lighthearted Coca-Cola spot from the “Taste the Feeling” campaign titled “Pool Boy”. On a hot summer day, a brother and sister scramble to win the affection of the family “pool boy” by grabbing an ice-cold Coca-Cola from the fridge and racing outside. But, to their surprise, mom gets there first. The spot positions an ice-cold Coca-Cola as the ultimate object of desire, while telling an emotional, human story with a subtle “wink” that touches on our point of view on diversity and inclusion. Our newest work harkens back to the past, to the DNA of what Coca-Cola has done before. If you look at what we did during World War II, with "Hilltop", with our consistent message of optimism, community, diversity, and standing up for something, everything we produce today is a continuation of what Coca-Cola has been doing for the past 131 years.